I guess this offer really affected Glo Mobile and helped subscribers a lot as most people literally abandoned big data subscriptions. Of what use is 1.8GB for N1000 when you can get 5GB for N800 on Glo network. Unfortunately, the bad news is that Glo has suspended Glo special data offer N200 for 1.2GB. No more special data offer for Glo users. The only option you have is to either go for 9mobile 1GB for N200 or MTN 1GB for N200 which according to some users, its SIM selective. If you want to keep using your glo line to sub for data, then maybe OgaSim offer is what will be ideal for now. This is fucked up meeeenn! sh*t!! Prof yomi any time plans for dis our country sef? And which network? Too bad. The 1gb for 200 really helped me like when am not ready to subscribe. Trust Glo, they’ll come up with another bumper surprise. 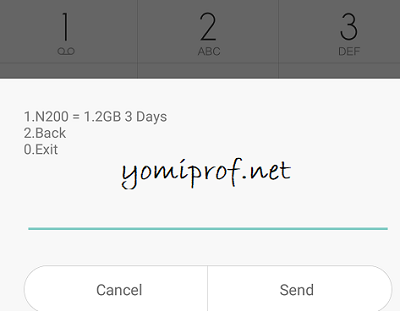 M really not happy about dis stuff…I just hope they introduce something better than dis..
Na wah o…wasn’t qualified for the 500 for 5gig been enjoying the 200 for 1.2gig for weeks now. And goo knows how to zap data fast. Oga prof. I got a new Airtel sim and I recharged and called then sub 1k and I wasn’t given the free 4g …am using 4g phone . Maybe you’ve previously used an Airtel 4G sim on that phone that you were given a free 4G. Except you tweak your imei, you can’t get the free 4G the second time. It was very painful to begin with, i have to move on. Thanks to God that my MTN line is eligible for 1GB= #200 plan. I will have to do with that in the next couple of month. For me, glo cheap packages does not mean i spend less on subscription. For the heavy user customers, they still spend more even if the data comes very cheap. Why Discontinue. This will continue to be the worst news for the whole 2019. Glo has finished me. Glo is the fastest with the fullest reception of all networks in my area. Glo why would you commit this abomination!!! Wetin dey worry una heads!!! What sort of wicked-heartlessness is this!!! Other networks are just rubbish here. MTN is worst than worstestest, every time I have to come out to the road if I want to even whatsapp somebody-Imagine. or climb a roof. This is beyond frustration. Shebi went you idiotic networks start seeing free WiFi, you fools will start shaking and violently panicking. Internet that is supposed to enrich our lives with vast Technical knowledge. Don’t worry Other companies aside Google considering Nigeria’s ever increasing population will still bring more Free WiFi even to remote villages then I will see how Nigerians will not tear down your throng of businesses enriching only a handful of individuals. Nonsense!!! Don’t stop frustrating our lives, Fire on!!! This is why nobody should be praising any network for any reason, anywhere, ever, because when they reserve and withhold from everyone their rights, with the huge disgrace & disappointment, you will not be able to even come out of your house let alone walk calmly in your vicinity with people & neighbours having finally agreed for your sake to start using the Glo they already hated so much.